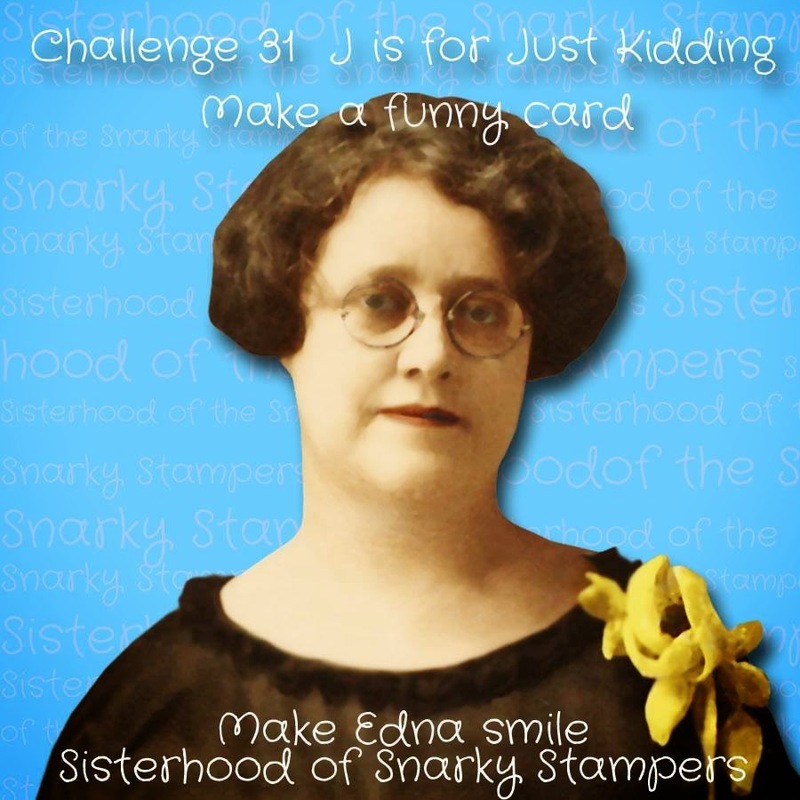 Edna's April Fool's Day shenanigans continue this weekend with the new SoSS challenge...this time around J is for Just Kidding. The snarky sisters want to see your idea of a funny card. Now keep in mind, some of us have "different" senses of humour...or maybe it's just me...snarky and rude IS funny right???!!!??? Visit the SoSS BLOG for all the details on the challenge and while you are there be sure to show the snarky sisters and our TWO guest designers some crafty lovin!! Want to join the sisterhood and play along?? Of course you do!! I was waiting for more snark on the inside. Very nice. Too funny! 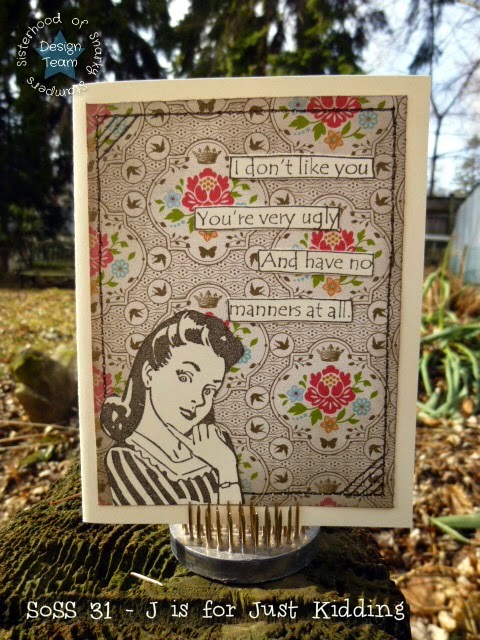 I have a friend who says stuff like this all the time-this card would be perfect for her! Great card, and I too was waiting for the extra snark on the inside. Haha, don't we all know someone who says things like that. The designer paper is gorgeous and matches the image perfectly. If I sent this card to someone I disliked I would worry that they just thought that I was kidding. Great card! Um, snarky and rude is obviously funny, duuuuh :) I love the combo of vintage & snark, too perfect! Your card is perfect for the comment, "Just kidding"! The background paper really looks like vintage wallpaper.